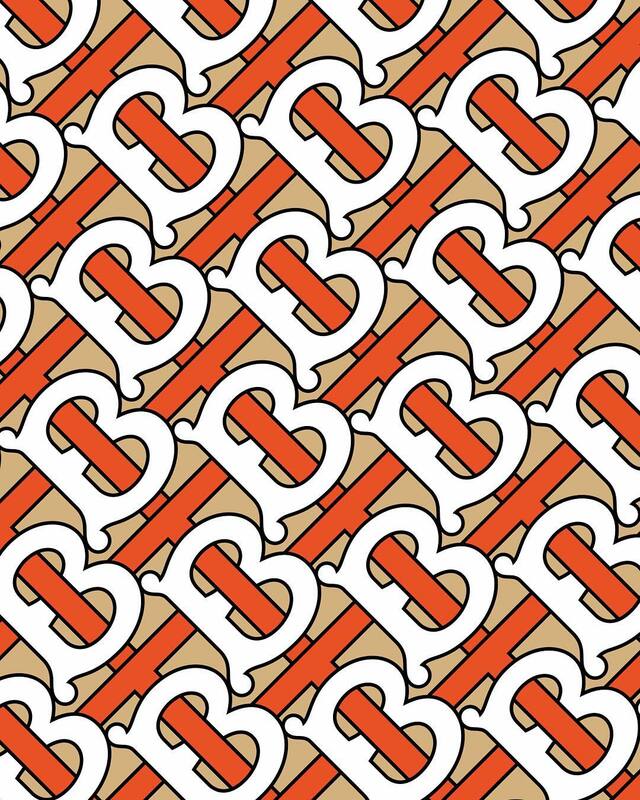 Burberry has unveiled a new logo after two decades on its Instagram page. 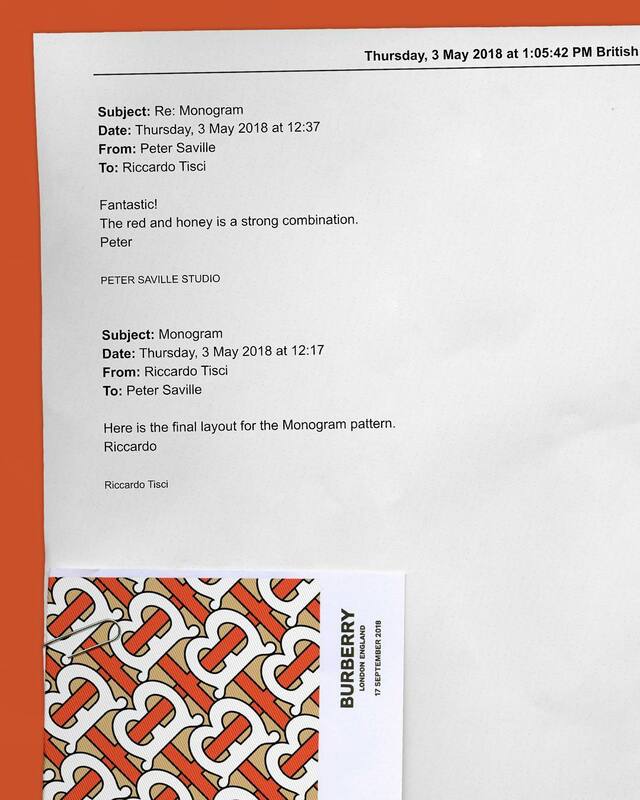 To tease the new logo, the brand also disclosed a series of email correspondences between Burberry’s chief creative officer Ricardo Tisci and English art director and graphic designer Peter Saville, before the final reveal. 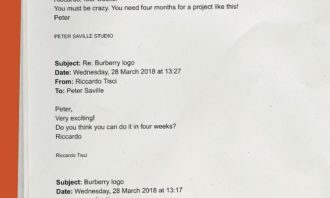 The series of emails also showed that the rebrand taken only four weeks to be completed, as opposed to the usual four months taken for such a project, Saville said in his email correspondences. 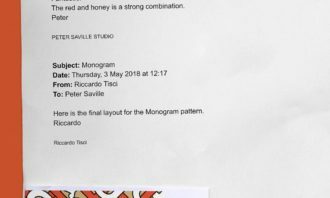 Saville has also designed a monogram for the brand which features striking colours such as red and honey. 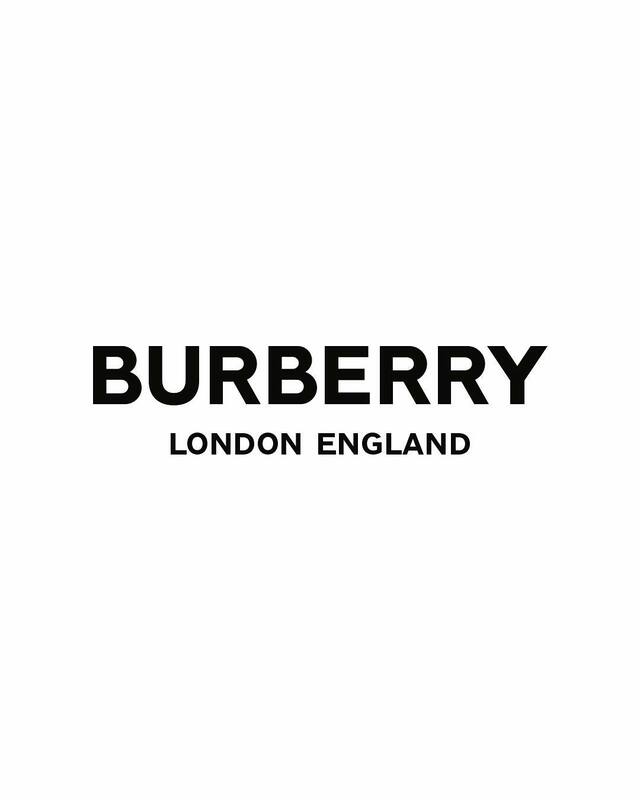 The monogram pays homage to Thomas Burberry, the brand’s founder by incorporating his initials. 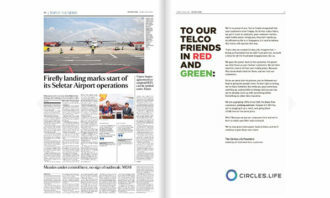 Saville is known for his work with Joy Division and most recently Calvin Klein, where he redesigned the logo. 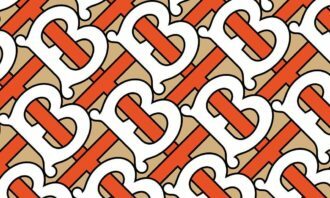 That being said, the new logo has been met with a mixed response by netizens, who discussed if the logo was “disappointing” for Burberry fans, with some praising the new monogram as fresh. 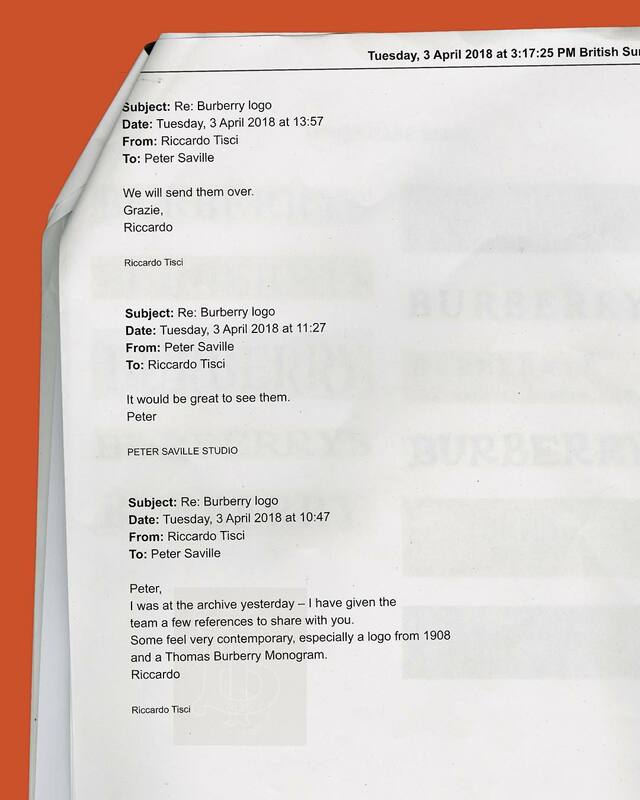 New @Burberry logo is a disappointing and total miss… in attempt to modernize, approach feels lackluster and homogeneous in a sea of new sans serif brandings, despite nice parallels with iconic check. That retro-inspired TB monogram is fresh though. 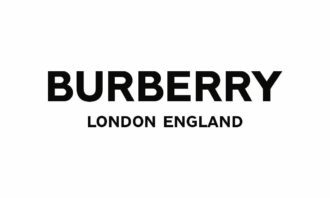 Because this Burberry rebrand had a big name like Peter Saville at the helm, this logo is going to be seen as stroke of genius and ‘just what the brand was crying out for’. 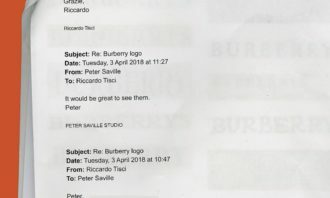 The move follows Burberry’s appointment of Tisci in March this year, who now directs all Burberry collections, due to present his first for the brand in September. Tisci joined Burberry after more than a decade at Givenchy, where he was creative director from 2005 to 2017. In July, Burberry struck a collaboration with iconic fashion brand Vivienne Westwood to work on a limited-edition collection of re-imagined ironic styles, in celebration of British style and heritage, launching in December this year. 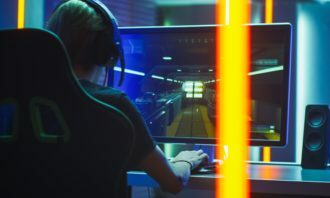 Most recently, the brand copped flak for physically destroying £28.6 million worth of finished goods, £10.4 million of which consists of products from its beauty inventory, according to its recent annual report. This cost was up from £26.9 million in 2017. 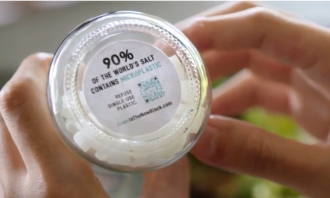 According to AFP, the company had incinerated unsold clothes, accessories and perfume over the past year to protect its brand. 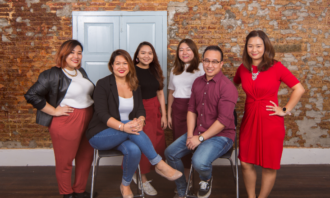 Quoting retailers, the report added that the move was also a bid to safeguard intellectual property and stop its projects from being sold at a discount or stolen. 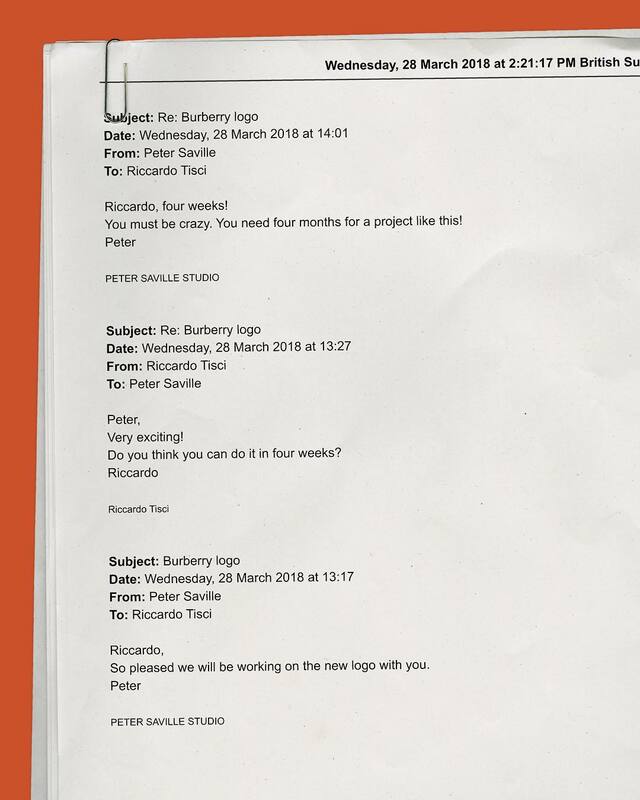 Earlier this year, Burberry CEO Marco Gobbetti admitted in an earnings call that his plan to shift the company’s brand focus on “it” handbags and higher-priced fashion products would likely not pay off until at least next year. The statement follows weak holiday sales. For two days only, the 4As in collaboration with WIPO in conjunction with MyIPO will be organising a workshop to train advertising..